I was stuck in the bathroom… again. My stomach was cramping and churning. I just wanted to know what I had eaten wrong so I could NEVER MAKE THAT MISTAKE AGAIN! But no matter how carefully I logged my food journal, no matter how many questions I asked – even when I gave up eating out altogether and prepared 100% of my own food – I was still having symptoms. It’s not the food… it’s stress. I didn’t get “glutened.” I was stressed out – about my job, my bills, my parents, my relationship, my health, my kids, the tires on my car, etc. And that stress presented itself as real, horrible, stuck-in-the-bathroom symptoms. Stress has thousands of effects on the body – and if you’re already prone to digestion issues (like us) – you’re more than likely feeling that stress in your gut. Bloating, cramping, diarrhea, constipation, gas, heartburn… it’s all related to stress! The stress of a break up or the death of a loved one can make you lose (or increase) your appetite. But the way chronic stress affects the gut is less widely understood. Chronic stress is the toll leaving a modern life places on us – it’s everything from work to your commute to watching the nightly news. Even the MOST privileged people in the world live with chronic stress. What does this constant stress do to your body? What does that mean? Basically that exposure to stress causes an increase in things like leaky gut and IBS. When I finally realized that the symptoms that just wouldn’t “clear up” or the unexpected “flares” weren’t being caused by what I was eating, I was pretty upset. My diet, I knew how to control. Stress – that felt like it was totally out of my hands. But that actually isn’t true. No, I can’t just get rid of my kids, or quit paying my bills, or stop missing my parents. We can’t get rid of stress. But here’s what I’ve learned: we can learn how to manage stress and work through it. There are actually a lot of ways to ”manage stress” – and finding what works for you is just as individual as diet. That’s why, even if you’ve tried lots of other stress management therapies or techniques, I want you to keep reading. I felt that way too – until I found something that has totally changed my stress management – and frankly, my entire life. Tapping, most commonly known as EFT or Emotional Freedom Technique, is a type of energy work that combines eastern medicine and modern psychology. It works by combining the ancient practices of acupressure with Western psychological techniques. It is extremely effective with both physical issues (digestive problems, back pain, headaches, etc) and emotional issues. It’s also what has allowed me to “conquer” stress and get to the healthiest and happiest I’ve ever been. But what’s really amazing is that unlike traditional acupressure or psychotherapy… you can learn to do tapping on your own, at home, really quickly. It’s completely safe, easy, and free. You don’t need weekly appointments or to shell out a lot of time, energy, or money. In fact, you can learn the basics of the technique in as quick as a few minutes – and start practicing immediately. There’s nothing “magical” about tapping (even though it can feel that way). EFT (tapping) was first developed about 20 years ago by clinical psychologists like Dr. David Feinstein and Dr. Dawson Church. They found that by combining some of the psychological processes they used with tapping on meridian points in the body – the same point acupuncturists press on – their clients were having more pronounced results than with either method alone. Doctors and clients alike have been having anecdotal (AKA personal) results with tapping for the last 20 years – but until fairly recently there wasn’t research that could explain WHY tapping worked so well. The first study was conducted by researchers at Harvard Medical School and focused on what tapping does to the body, physically. It found that by stimulating meridian points on the body – such as by tapping them – activity in a part of the brain called the amygdala was reduced. The amygdala is like the body’s alarm system – it is responsible for controlling the stress response that includes an increase in the “stress hormone” cortisol. The stress response is what causes physical symptoms of stress, including those digestive symptoms I was talking about earlier. If activity in the amygdala is reduced, the stress response and symptoms caused by it are reduced (or even eliminated) too. The second study looked at how tapping or EFT impacted cortisol levels in the body. Volunteers received an hour of EFT and had their cortisol levels measured before and after. The results were kind of crazy (in a good way). The average reduction in cortisol of those who received EFT for just one hour was 24%. Some people had as much as a 50% reduction in cortisol levels in just one hour. I want to make something clear – there is no magic cure-all for anything in life. Tapping can’t replace eating a gut-healthy diet, exercising, mindfulness, life-saving medications, or even traditional therapy. Like I said before, tapping is easy to learn and it’s free. There’s no reason not to at least try it. You might feel a little silly at first – but the results speak for themselves. Want To Learn More About Tapping? I practice tapping regularly, but I won’t pretend I’m an expert (or should be the one teaching you how to do it). If you want to learn from a pro, watch this video. I actually learned about tapping a few years ago during one of the first Tapping World Summits. And now it’s time for the 10th Tapping World Summit (and you can watch for free online). 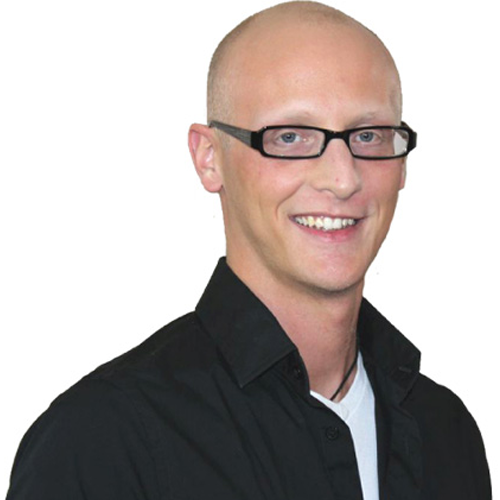 At the TWS, you can learn exactly HOW to tap from the developers of EFT and other experts in the practice. 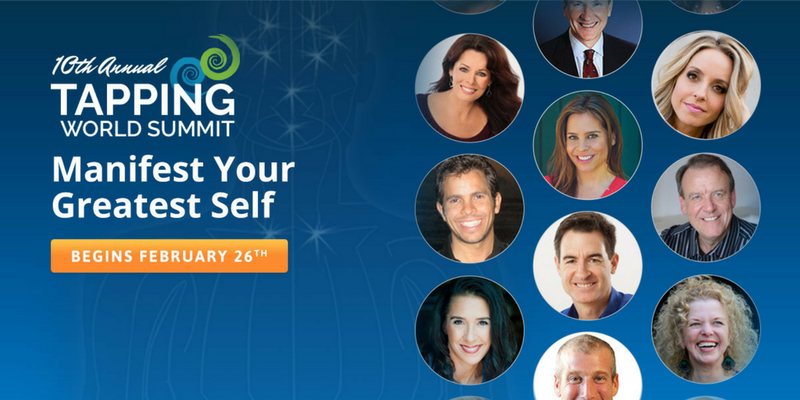 If you’re serious about living your best life and managing stress for good, there is no better way to learn about EFT than at the Tapping World Summit. Watch a quick video explaining the basics of tapping and register for the FREE 10th annual Tapping World Summit here. Tapping has been a transformative tool for me – I hope you’ll at least take the time to learn more about it and see if it can support you, as well. P.S. Have you tried tapping? Leave a comment and tell us about your experiences with EFT.